Today we continue our tour of Florence with the Palazzo Medici Riccardi. The Palazzo Medici Riccardi is at the northern end of the densest part of the historical city center. It was built by Cosimo de Medici (the Elder) from 1444 through about 1460, once they had grown too grand for their home in what is now the Piazza della Repubblica. 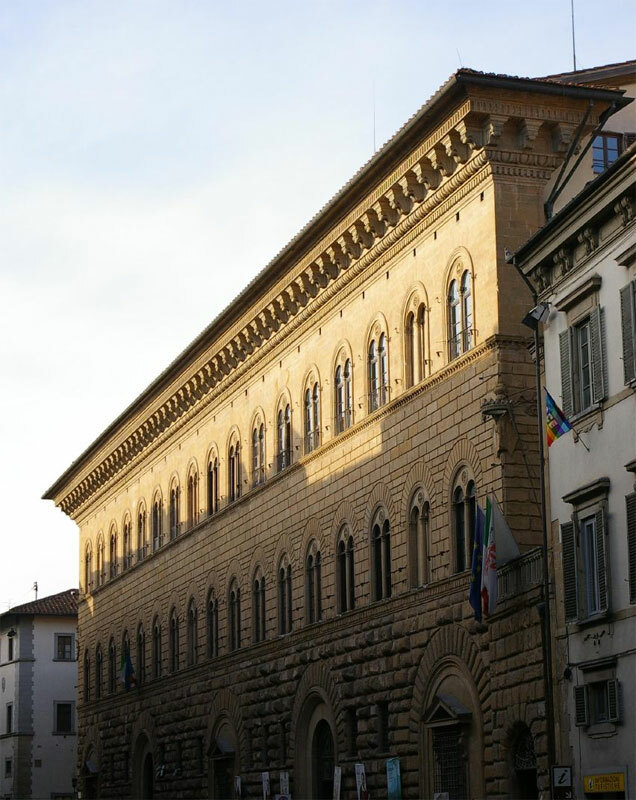 The Palazzo is considered the first Renaissance building in Florence. Its architecture is more interesting than it first appears, which explains why I didn’t photograph it. As you can see here, each floor is more refined than the one below it. You can read more about it here. The patriarchs of the Medici family occupied the palace until Cosimo (the Younger) became a Grand Duke and moved to the Palazzo Vecchio in 1540. For the next hundred years or so it was occupied by lesser members of the family, until Ferdinando II sold it to the Riccardi family in 1659 for 40,000 scudi, which wasn’t a bad deal because a scudi isn’t worth anything at all today. The Riccardi’s gave the palace a makeover. They kept the outside more or less the same, but over the next 60 years or so, spent three times the purchase price to completely Baroque-ify the interior. In 1814, when Napoleon departed, the Riccardi family sold it to the newly-restored Tuscan state and the then-ruling family of Lorraine for 49,600 scudi. So, over 155 years, they achieved a stunning 0.14% rate of return. The palace served as the headquarters for various governmental agencies from 1814 through 1874 when the Florence Provincial Authority bought it (for 500,000 lire; I don’t know what ROR that would be). Since then it has served as the seat of government for that body, as well as the offices of the Provincial Governor.